Booker Aviation is an EASA Approved Training Organisation based in High Wycombe, Buckinghamshire. 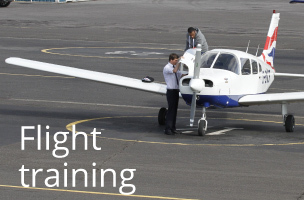 It is ideally situated for individuals wishing to undertake both private and commercial flight training near London and throughout the South-east of England. We are proud to be the first fully compliant EASA ATO based in the UK for PPL Training. 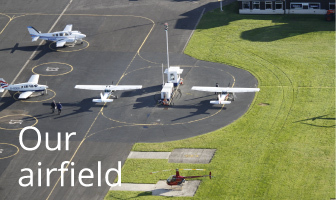 With a fleet of 20 aircraft ranging from our 2 seat trainer Cessna 152s to state of the art glass cockpit Cessna 172s and Diamond DA42 Twinstars we are well equipped to deliver your training whatever your needs. 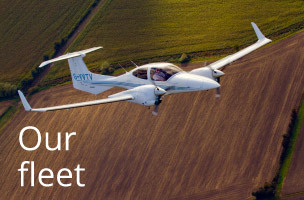 Whether you are looking to purchase a gift trial lesson, take those first few steps towards becoming a commercial pilot, learn to be an Flight Instructor or revalidate your Instrument Rating why not come and visit our friendly staff team and see what we have to offer. We hope you enjoy exploring our website and hope to hear from you soon. At Booker Aviation we have a number of aircraft types available for you to fly.